A stamp printed using offset and stochastic raster, on fluorescent paper. 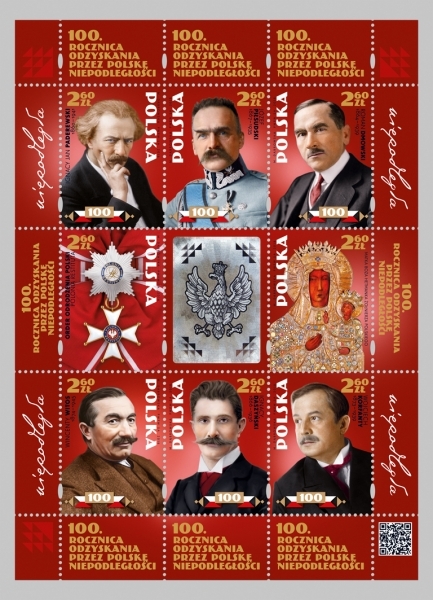 Size of the stamps: 31,25 x 43 mm. Sales sheets contains 8 pcs. of stamps with label with dynamic optical effect in sheet.